Back to the Crafting Future. In fact, I hadn’t picked up any sort of crochet hook or knitting needle until January! And it’s good to do it again. I’ve been learning how to knit properly- working on lace patterns and will work up to cabling. It’s fun! 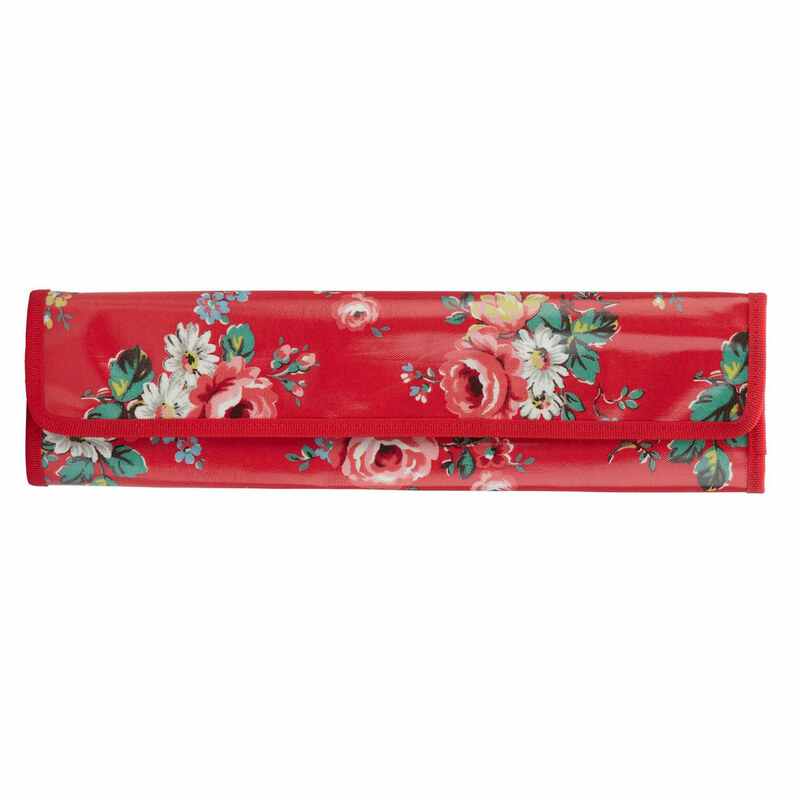 My sister gave me the Cath Kidson knitting roll and it’s given me the burst to learn different types of knitting. So… this is me warning about the number of knitting posts and pictures of ammeter lace, cables and all sorts that will coming up! It’s nice to be back. I’ve missed youse. 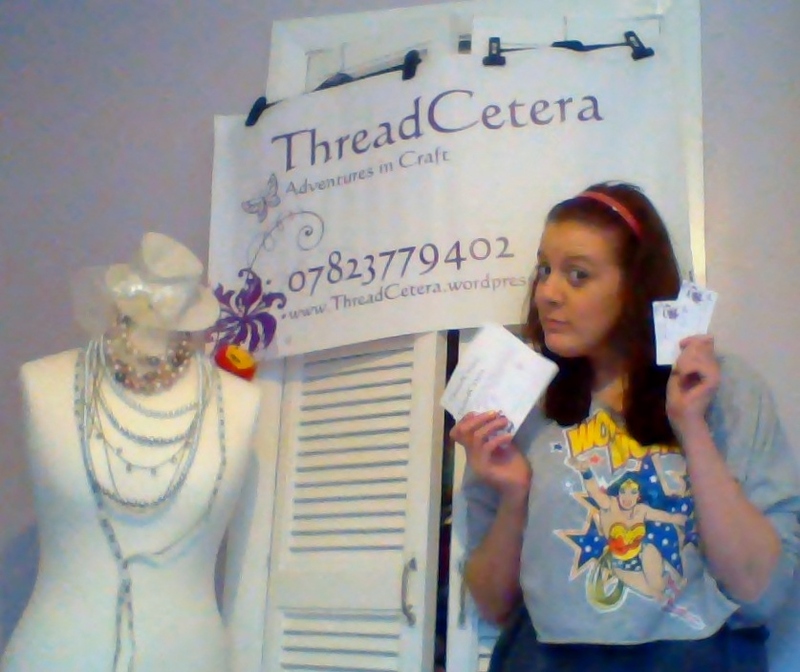 ThreadCetera HQ; a little personal post about how I’m kicking depression one stitch at a time. This week has been BUUUUUSSSSSYYY. With orders coming in for custom gloves, the etsy store doing well and official ThreadCetera stall stuffs (as modeled below so elegantly!) we’ve started to feel like a proper business! I’ve been squeezing in orders, new stock ideas for upcoming fairs, blogging, my own personal projects and a new job! It’s been hectic but I’m loving it. I’m a far cry away from the sad girl of the summer. The changes I’ve made in my life have been good. I’ve a new job, new environment, which has made me really look forward to getting up to go to work instead of dreading it. Some people thrive on the challenge of complaint, it was making me crumble. I’m much more open these days about what is going on, I actually tell people when I have one of those days I can’t leave my bed… AND THATS OK. My friends and family are amazing. They say ‘ok, get well soon, I’ll be there on the other side’. I couldn’t ask for better people around me. Not only do they put up with my inane crochet chat, they make me tea, cake and help me through the bad times so we can enjoy the good ones together. I love them. This is not even mentioning my brilliant boyfriend who has seen me at my worst; crying in a small ball while my head wanders in the rabbit hole. It’s a dark place to be, and I become someone unrecognisable and scary, but he has been there through good and bad. He has seen me through it all and forced crochet upon me to make me feel better in my darker moments. All of this blog stuff his fault and I love him for it. I called it ‘the hole’ when I got proper upset. It’s a bit like retreating back into yourself in a place you don’t want to be nor can you see the end of. Because it’s unhappy and sad there seems to be no light. My immediate reaction when it happens is to try and ride it out by sleeping through it. This was never going to work. Crafting and blogging has helped. It might not be the perfect answer to depression but it’s working for me. By setting myself goals of Tuesday, Thursday and Sunday it gives me something to do, a goal to work towards each week and channels my energy into thinking of something to do. And do you know what? If I miss a post because I haven’t been at a computer, I don’t kick myself to bits like I would have in the summer, I say ‘oops, I’ll do one asap, and I’ll be really proud of that post’. I can look back on all my work and say ‘I’m proud of what I have done’. Blogging has helped me learn new skills, try new things, reach out to new people and it’s now making me a little bit of money! I’m over the moon. I remember the first few posts and how proud I was when I got 1 view a day, or 1 more follower. I still feel that way. I’m so surprised at how well ThreadCetera is doing and I want to keep going as long as I can. Today I’m going back to the doctors to tell them I can see the end but I need help getting there in case the bad times strike, and they do strike from time to time. I will never forget the dark places I was in, and I pray that no one ever has to go through it, but if you ever do remember that you are not alone down there in the rabbit hole. In the moments you are strong enough to stick your head up the best thing you can do is tell someone, chances are they have noticed and they will want to help. The help will seem strange and you might not understand why they are giving you these words that might not help just now, but think it over. Everyone who tells you something is doing it cause they care. Consider it making toast for you, not really getting the right level of crisp you like but in the end they are still giving you toast. The toast is the fact you needed someone to care. From what I’ve learned sometimes it’s really good to listen, sometimes it’s good to talk. A little from both columns can go a long way. Well, that and a whole lot of crochet! 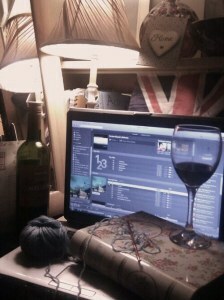 Red wine, Spotify, Crochet. A pretty average Wednesday evening.